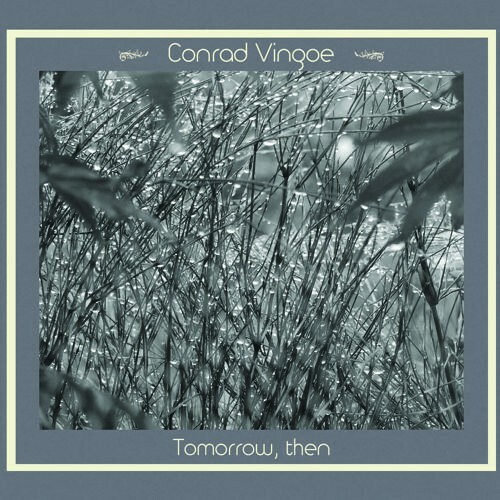 Americana influenced folk singer and songwriter Conrad Vingoe, Brighton based, plays an acoustic guitar and works with John Parker (double bass) and Martyn Barker (drums). The delicate and easily flowing ‘Hand On My Heart’ opens the album and Sarah Howells from Paper Aeroplanes also features here, whilst an urgent ‘Fail’ is upbeat and optimistic despite the vulnerable tone of the lyrics. ‘Letters In The Night’ has a simple and enjoyable rhythm. The soulful and minimal ‘Hurricane’ is another admirably uncluttered number and ‘Pendulum’ slowly and gently rocks towards the end of the album. Conrad’s intimate and sensitive music is often sparse, but full of vitality. To fans he’s a skilled and talented musician who creates beautifully crafted songs. If you haven’t heard his melodies, listen and you might be pleasantly surprised. Conrad's intimate and sensitive music is often sparse, but full of vitality. To fans he's a skilled and talented musician who creates beautifully crafted songs.